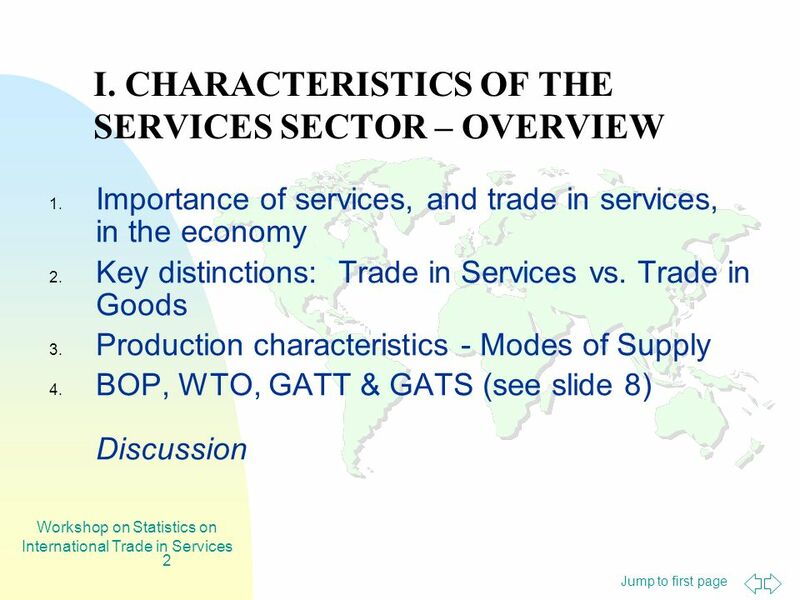 Download ppt "Jump to first page Workshop on Statistics on International Trade in Services 1 CHARACTERISTICS OF THE SERVICES SECTOR - OVERVIEW-"
Manual on Statistics of International Trade in Services Workshop on International Trade in Services Beirut April 18-20, 2011. 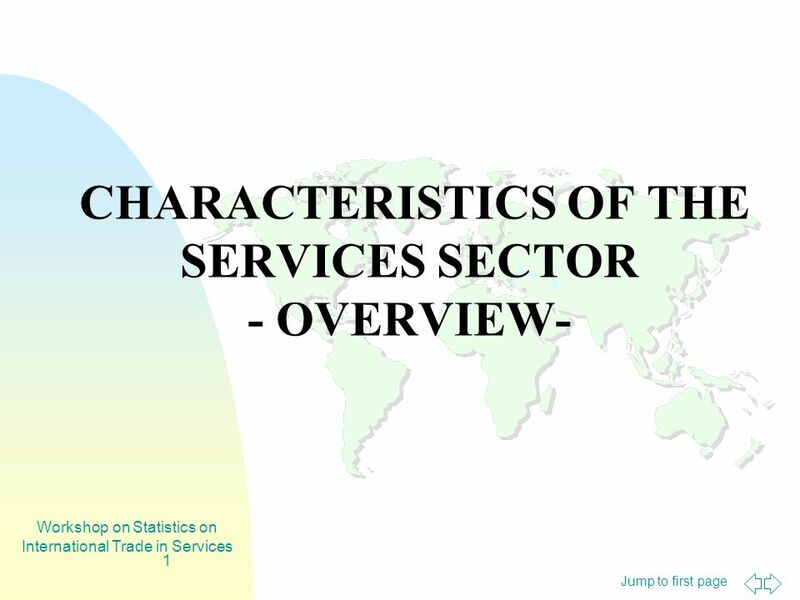 STD/TBS/Trade and Competitiveness Section The Travel flash Survey Background and summary results OECD Statistics Directorate Agenda Item 4fii1 Agenda 3rd. Jump to first page Workshop on Statistics on International Trade in Services 1 III. DATA COLLECTION STRATEGIES 1. OVERVIEW OF DATA SOURCES AND SURVEY METHODOLOGY. A Statistical Architecture for Economic Statistics Ron McKenzie ICES III. 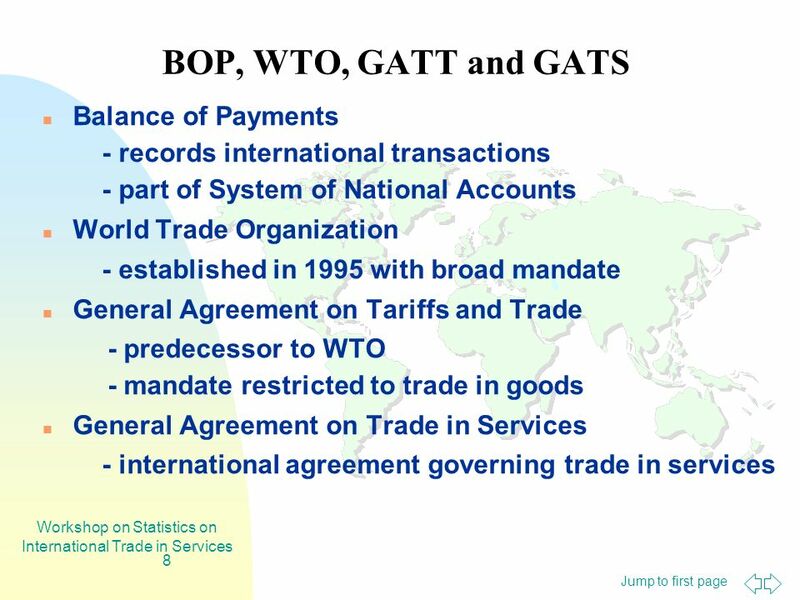 Commitments under GATS Overview of Current Schedules Rolf Adlung Trade in Services Division WTO. 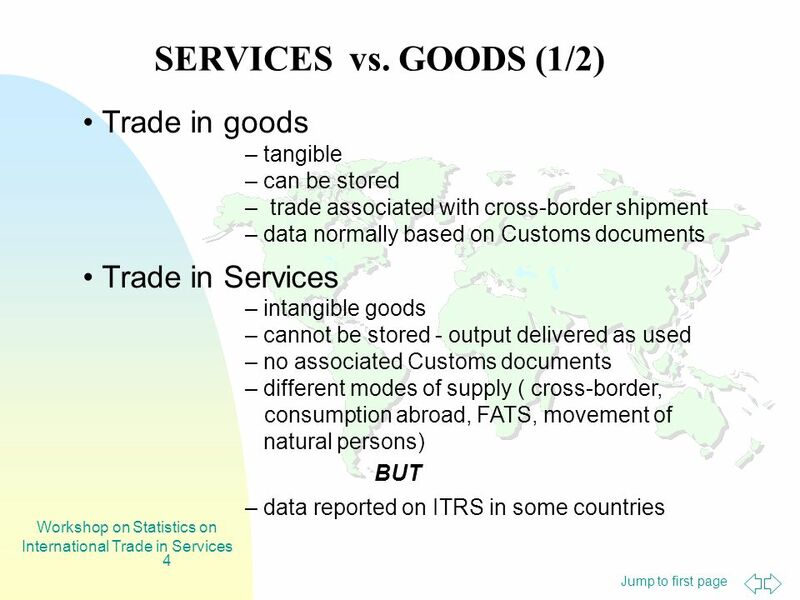 WTO Symposium on Cross-Border Supply of Services Possible approaches towards further liberalization within the GATS Geneva: 29 April 2005 Aaditya Mattoo. Aik Hoe LIM Trade in Services Division, WTO EDUCATION SERVICES AND THE DOHA ROUND. 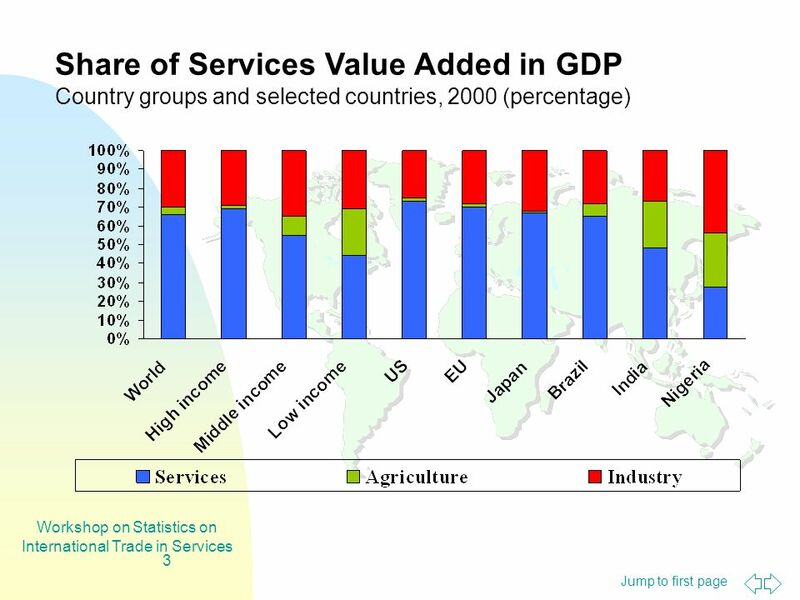 EXPORTS AND IMPORTS OF GOODS AND SERVICES Buyung Airlangga. 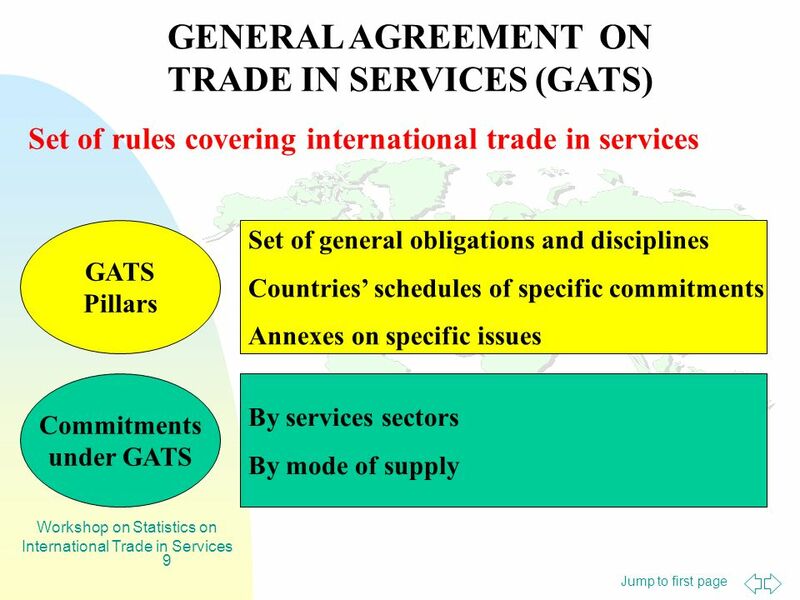 1 THE GENERAL AGREEMENT ON TRADE IN SERVICES (GATS) AND EDUCATION SERVICES Dale Honeck Trade in Services Division World Trade Organization. 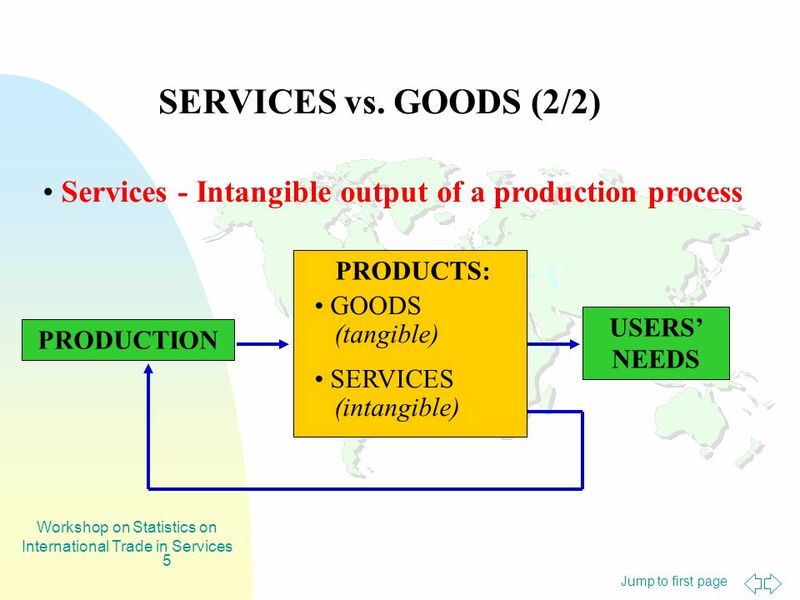 Slides for Part I National Income Accounting (NIA) NIA is the measurement of aggregate or total economic activity. N. Lerzan Özkale BOP Lerzan Özkale. 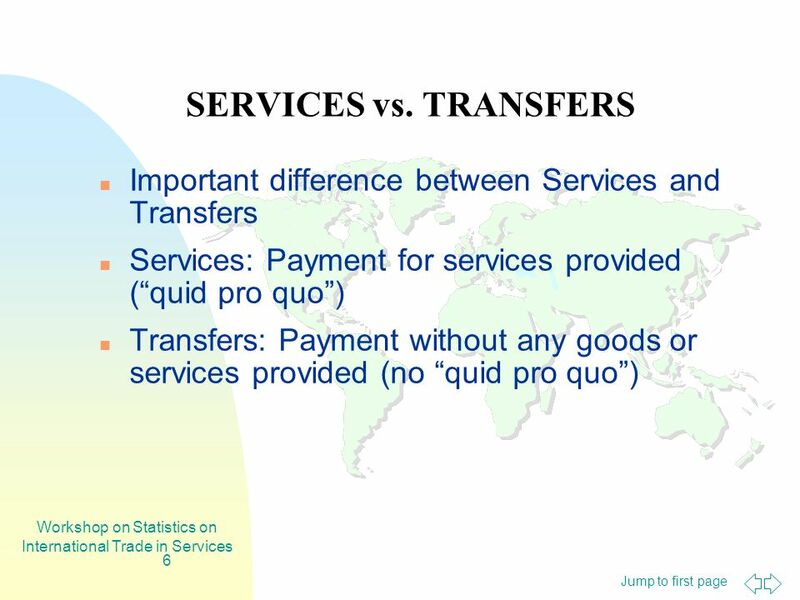 N. Lerzan Özkale BALANCE OF PAYMENTS (BOP) The record of a country’s transactions in goods, services and assets with. 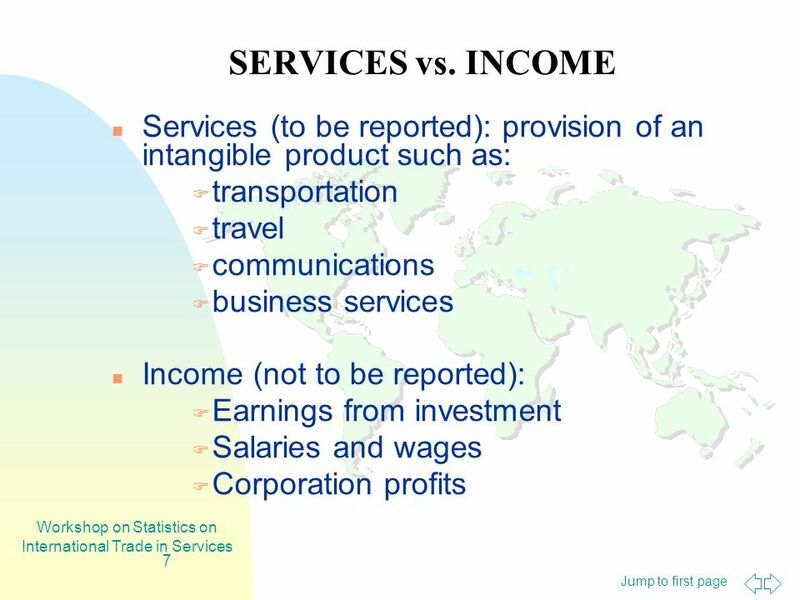 ECON 1211 Lecturer: Dr B. Nowbutsing Topic 1: Introduction to Macroeconomics and National Income Accounting. Chapter 2 Measuring the Economy.